White hankerchief with perforated border. Four lines of assorted flags form a diamond in the middle. 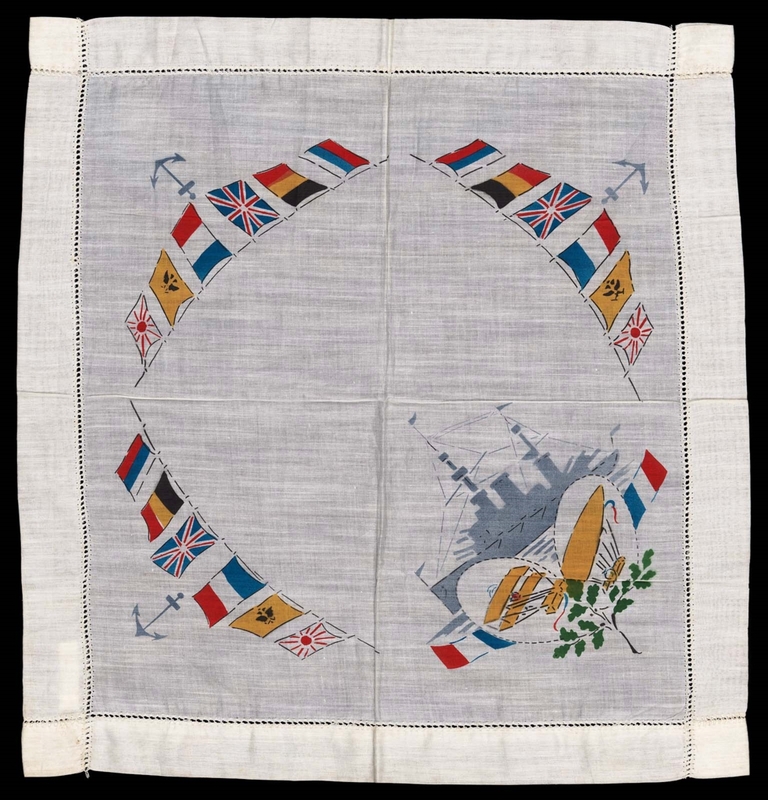 Three lines of flags have anchors underneath and one line has a large gray battleship on top of the flags.